MOSCOW, October 18. /TASS/. Elite formations of the Syrian armed forces have launched an assault on terrorist-held districts of Deir ez-Zor, some 420 kilometers from the capital Damascus, the Al-Manar TV has said. The TV reported losses among the Islamic State terrorists in those districts, but no exact figures are known to date. On Monday Syrian troops pushed terrorists out of two settlements north of Deir ez-Zor. 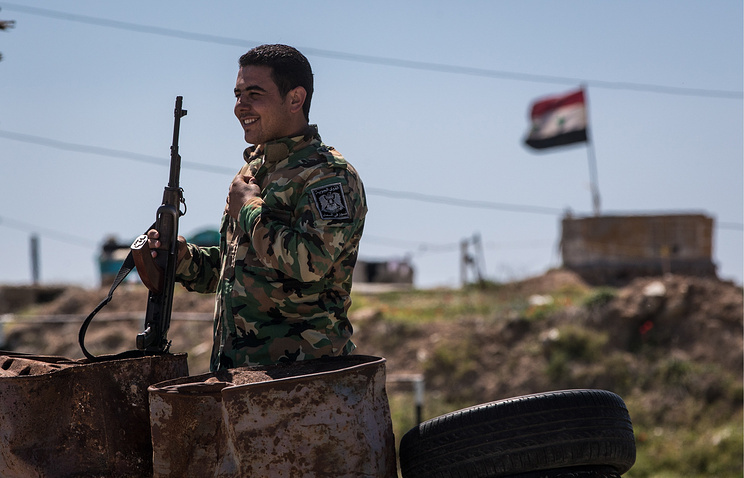 The operation allowed to block the highway linking the capital and the northeastern Al-Hasakah governorate, effectively encircling the remains of Islamic State terrorists in the city. On Tuesday, the Syrian armed forces and militia liberated ten settlements south of Deir ez-Zor. The Syrian Air Force are now supporting troops advancing toward the city of Abu Kamal near the border with Iraq. Fighting now rages near the Omar oil field.